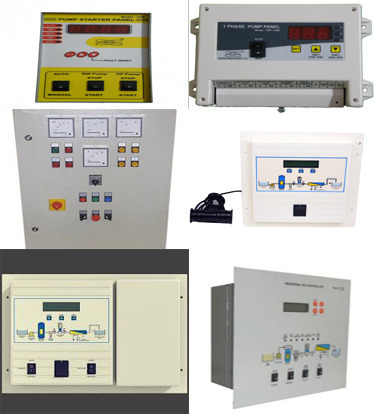 We offer a wide range of Controlled Panel and Electric Control Panel. These are fabricated as per international quality standards, our entire range of products is demanded for easy installation, low noise level, less power consumption and several more attributes. We have gained recognition as an eminent enterprise, devotedly engaged in offering a broad range of RO Control Panels. Backed by a team of experts, these panels are manufactured using high grade components and advance technology. Our offered panels are precision-designed, in order to meet the industry standards. Furthermore, these panels are available in various technical specifications, as per the varied needs of our valuable clients. Our range is stringently tested on various parameters to assure it on counts of quality. Looking for “RO Control Panels”?